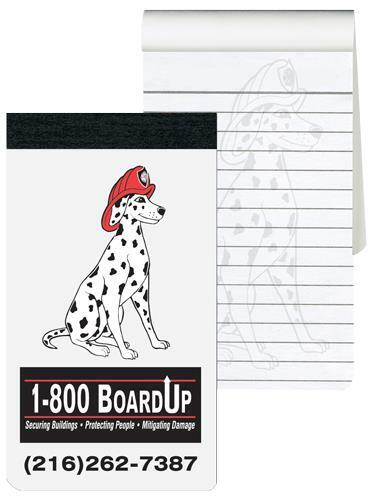 Taped memo book with white 10 pt. cover printed one standard color with clear coat, 2 3/4" x 5". A simple promotional idea that will work hard spreading your message. The 40 inside sheets are 50 lb. white offset, perforated for easy removal. Rules and logo printed one side/one color on each sheet or stock blue rules printed two sides. 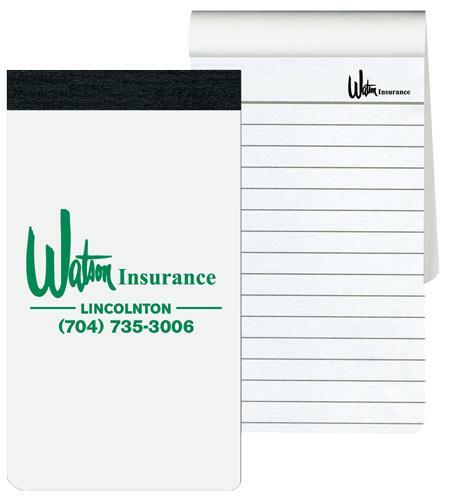 Standard features include 2 staples on 2 3/4" side, black tape across top, and 2 round corners. Back will be blank unless otherwise requested.